Organizations dedicated to diner preservation help to keep the culture alive in America. Diners play an important role in American history. The diner is a uniquely American invention, born from resourcefulness and hard work. From their humble beginning in 1872 as a horse-drawn wagon to the booming industry in the 1950’s, diners have become an icon of American culture. Diners are significant because the role they played in 20th century development, consumerism, American comfort cuisine, architecture and manufacturing. There are several organizations who seek to honor the importance of this American institution through historic diner preservation and restoration. These groups don’t want to see a piece of American history forgotten or destroyed in the name of progress. 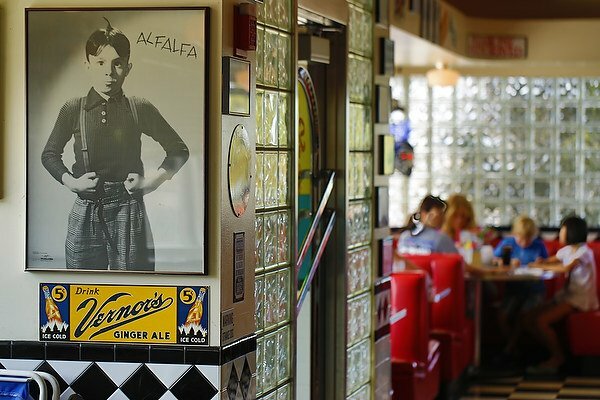 The American Diner Museum, located in Providence, Rhode Island, is one such organization that honors the diner and endeavors to keep the culture alive. They do this not only through the museum itself, but also through the Diner Rescue Program that rescues vintage diners from demolition or destruction. In order to do this the ADM will act as the broker to find buyers for the property, or it will relocate diners to temporary storage. Through their New Hope Project the ADM also restores vintage diners so that they may be used for museum exhibits or to operate as working establishments. Preservation New Jersey also seeks to preserve historic diners in that state, known as the diner capital of the world. The National Trust for Historic Preservation is another organization dedicated to preserving historic places, including diners. This organization preserved the famous Serro’s Diner in Pennsylvania, making it a part of the Lincoln Highway Experience Visitor Center, so that people can experience a recreation of the glory days of highway travel in the 1930’s. If you’re a loyal fan of diner culture you can learn more about historic diner preservation or how to get involved by visiting the sites of the above organizations.